Members of the V.I. Senate and the Economic Development Authority gathered in Frederiksted Monday to discuss the strengths and weaknesses of the EDA. Sen. Allison DeGazon, chairwoman of the Committee on Economic Development and Agriculture,along with Kamal Latham, chief executive officerof theU.S. Virgin Islands Economic Development Authority,conducted the informational session on Monday with the lawmakers, according to a news release from the 33rd Legislature. 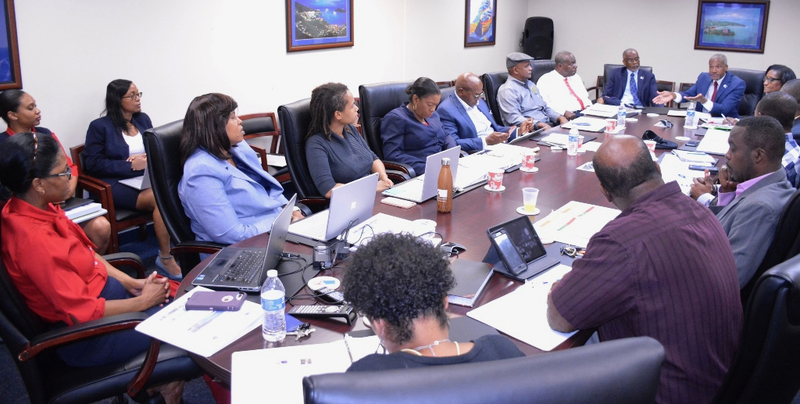 The meetingwas held at the EDA’s Conference Room in theWilliam D. Roebuck Industrial Park on St. Croix. DeGazon said the reason she called for the informational and collaboration session was to understand the strength, weaknesses, opportunities and threats regarding the stakeholders of EDA.She said she wanted to make sure that when it comes to initiating legislation in her committee hearings, all members would be on the same pageconcerning the goals of the EDA. This, she explained, would help move the ComprehensiveEconomic Development Strategic plan forward, which in turn would attract anddevelop our manufacturing, marketing, and infrastructure. Sen. Athneil “Bobby,” Thomas said the meeting was a great opportunity to get aninsight from the leadership of the EDA. “I was dumbfounded, however, to learn that our Economic Development Authority does not have an economist on staff. 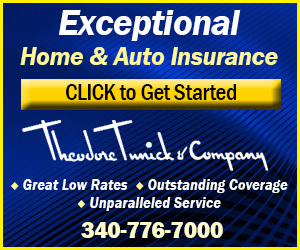 This has to be an order of the highest priority to have that professional on board,” he said in the news release. Sen. Myron Jackson expounded on revitalization issues, particularly within the purview of Historical Preservation in the Economic Zones of Charlotte Amalie, Christiansted, and Frederiksted. Barnes said this would fall in the category of Community Reinvestment and Empowerment. Sen. Novelle Francis spoke of legislation enacted and implemented regarding loan programs to strengthen the public and private partnership initiatives. Hereferencedprograms such as the DirectLoan Programs, Development Loan Programs and EDA Loan Programs. At the conclusion of the meeting, DeGazon said she intends to call quarterly meetings with all parties to ensure goals are met. Other senators present atMonday’s meeting were:Senate President Kenneth Gitten, Marvin Blyden, Donna Frett-Gregory, Javon James, Dwayne DeGraff and Steven Payne. Other members of EDA’s executive team present were: Wayne Biggs, assistant CEO/chief operating officer; attorney Tracy Lynch Bhola,general counsel; Earnest Halliday, chief financial officer; Margarita Benjamin, managing director; Nadine Marchena Kean, managing director, Enterprise Zone Commission; Shanell Petersen, managing director, Marketing and 2040 Vision; Joy Penn, senior compliance; Esther Joseph, application assistant II. Great news! A step in the right direction and the easiest step to take …….talk…..talk about what you want to, going to do, and big ideas! I am cautiously hopeful but hopeful all the same. Look forward to action to back the talk. Economist? Don’t have to look too far. UVI has a visiting professor that is a world renowned economist , Paul Koku . People are buzzing about him. Call him. He might be able to shed light on our Economic mess. I googled him and found him to be quite impressive. Give it a shot. You have nothing to loose.